Johannesburg , 06 December 2019 – More than 30 years ago Dentsply Sirona brought CEREC to the market, a system which pioneered Single Visit Dentistry. CEREC has been continually developed in that time so that not only restorations, but also implant drill guides, custom implant prosthetics and even orthodontic indications are covered by the versatile system. 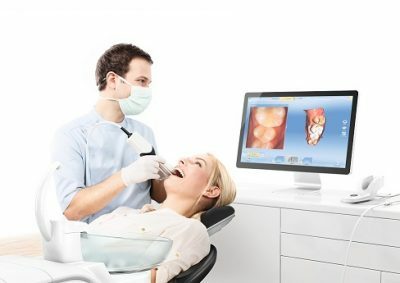 In so doing, Dentsply Sirona set an important trend in dentistry: Treatment concepts with digital technology are now an emerging expectation amongst dental patients. CEREC not only provides many patient benefits, but also the clinical success has been demonstrated in more than 250 studies. When it comes to the use of CAD/CAM in the dental practice, the question is not whether it can be integrated into the existing workflows, but more how this can be achieved in the best possible manner. Save your patients the discomfort of a conventional impression tray and take impressions using the CEREC Omnicam, our small powder-free camera. The CEREC Omnicam allows you to take a coating-free scan of the natural tooth substance and gingiva. This saves you an extra step, reduces the learning curve and makes impression-taking more pleasant and time-saving than ever before. The CEREC Omnicam sits perfectly in the user’s hand. Thanks to the slim design and the compact camera tip, scanning posterior teeth presents no problems. Regardless of whether the patient is sitting upright or reclining, you can scan the upper and lower jaws ergonomically without having to adjust your natural working posture. In addition, the CEREC Omnicam allows you to determine the colour of the scanned teeth in the CEREC software based on your scan, and also allows you to expand your treatment spectrum to aligner treatment. This makes the CEREC Omnicam a unique multifunctional tool and offers you everything you need for your safe step into Chairside CAD/CAM.